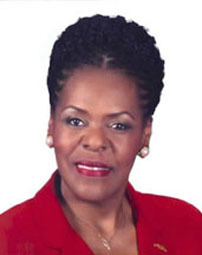 High school teacher and state legislator, elected to the US Congress in 1996. Progressive Democrat. Supported abortion rights, 2008 GM bailout, 2009 economic stimulus, 2010 health care reform. Opposed 2002 Iraq war authorization, 2008 Wall Street bailout. Defeated in the 2010 Democratic primary, after her name had been tarnished by her son, scandal-ridden Detroit Mayor Kwame Kilpatrick. Succeeded by Hansen Clarke.